As perhaps the only human being in the western world I don't get Mad Men - as in have tried, but have not caught the bug. However the impact the series have on pop culture - and the interest it sparks in certain classic cocktails is fine with me. I like the occasional Old Fashioned and it's fun to play with. What caught my eye when I spotted the Donny Draper was the sassafras syrup. I love root beer which is quite hard to come by in Denmark in a good quality. So I set about getting some dried cut up sassafras root and was success full at the online store that supplies me with china bark for home made tonic water. Mix the syrup and bitter in the bottom of an Old Fashioned glass, add the rye and a huge ice cube and stir until the glass clouds over on the outside. Then twist a short peel of lemon over the drink and drop it in. Very simple and very complex as the ice melts - sort of like the world as we know it. The moment I saw the theme for this month's Mixology Monday announced by Rowen at the Fogged in Lounge I knew what I was going to mix. At the end of March I attended Copenhagen Spirits and Cocktails and was served a Bax Beet Pinot during a seminar where Jacob Briars talked about The Secrets of the Worlds Best Bars - and blue drinks of course. I don't remember much of what he said after I had the first taste - I was so occupied by trying to figure out, how it was made. It originates at Der Raum in Melbourne, Australia, a cocktail bar that I understand is now closed. 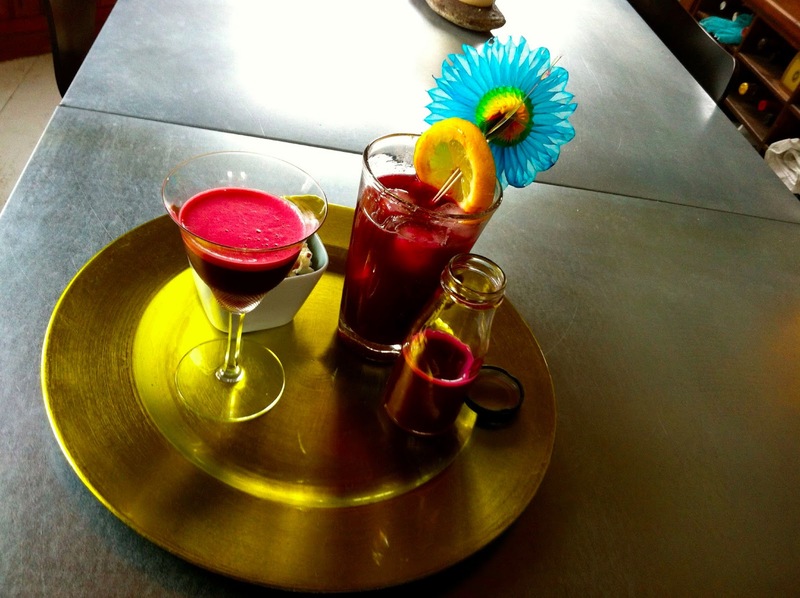 The combination of beet juice and Fernet Branca is magic to my taste buds. But then again beets features prominently as a condiment in Danish cooking and next to Finland and Holland I believe we are some of the biggest consumers of licorice - the black, strong, salty kind, not the red American kind - in the world. Mix everything in a shaker with ice, shake and strain into martini glass. 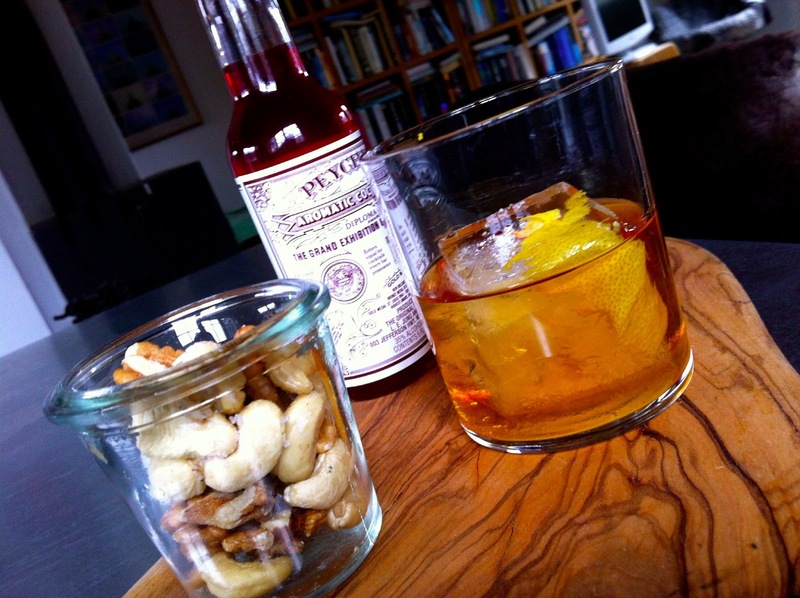 The recipe used at Copenhagen Spirit and Cocktails used sweet vermouth in place of the Dubonnet and simple syrup as the sweetener. I like the - well - maltiness of malt syrup with the earth element of the beet juice and the quinine in Dubonnet cuts the drink nicely to the refreshing side. Since I knew I would be up to my elbows in beets, peeling, juicing and what not I decided to try and brew beet juice in the same way as I regularly brew ginger beer. That is adding some, sugar, some citrus and a tiny pea of fresh yeast and then let it brew and carbonated for 48 hours with water. I will say it's a bit of a mess - it's important to release the pressure in the brew after the first 24 hours, by unscrewing the cap on the bottle. Fortunately something told me to do that in my garden because I ended up with a fountain of scarlet, foamy beet beer out of the bottle and all over my front garden. Stir the first five ingredients with plenty of ice in a high ball glass, then add the beet beer and garnish with a slice of lemon dipped in a mixture of sugar and licorice root and caramelized on a hot pan, add festive peacock, umbrella or other fun long drink decoration. Enjoy and thanks for the great theme Rowen.